Return flights from Austria to Lima, Peru from €488! British Airways promo sale: BIG list of discounted flights from London to worldwide destinations! Cheap non-stop flights from Amsterdam to Taipei, Taiwan from €447! During currently running Air France-KLM global promotion we have some good solution for travelers in Austria or those of you who can easily reach Vienna, Salzburg, Innsbruck or Graz to explore bautiful Peru! Return flights to LIma are available from €488 with one layover in Paris or Amsterdam. Fare is for a roundtrip including all taxes and onboard meals. There is no checked bag in base fare available for extra fee..Good option also during local summer season..(However best time e.g. for Inca Trail is from May to October). Air France/KLM promotion is available for flights departing from Austria to Peru from February to June 2019. Max stay 3 months. At this moment discount is valid for bookings made only today 31st of January so hurry up if this is deal of your interest..Please refer to below booking samples with SkyTeam airlines from Austria as well as link to our previos deal from the Netherlands to Lima based on AeroMexico. 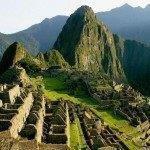 Need affordable hotel in Peru you can book your accommodation via Booking.com or Hotels.com. Booking sample of cheap return flights from Austria to Lima, Peru from €488. As per above booking sample you would depart from Vienna to Lima on 10th of March. Your return flight from South America to Europe would be then on 22nd of March 2019.